You may have heard of this rather popular Bible verse “Our family is one of God’s masterpieces”, that’s now been converted into wall art, decals, and a whole lot more. There is most certainly some truth behind those words, particularly in the case of artist Preeti Thaker Arora. Known for her stunning cosmic and subliminal paintings that are said to have a calming and meditative impact on people, little did she know that it would be the angelic face of her baby girl that soothed her worries. She learned a whole new meaning for the word ‘inspiration’ after the birth of her daughter, Arianna. “I grew up with parents who always encouraged me to be the best possible version of myself. My parents supported me and wanted me to make a name for myself, have a career and explore the world. 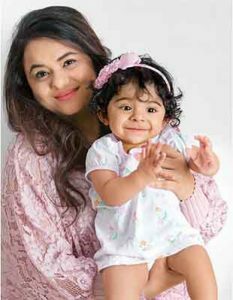 In fact, it was my mother who pushed me to try new things, and I owe my ability to juggle a career and manage a home, all because of her,” says Preeti. It was after the tremendous support of her family that Preeti’s education led to an opportunity to move to Mumbai, where she met her husband, Sandeep. “Of course, before I got married, my career did take me places. I was fortunate to succeed and rise quickly. At a very young age, I got the opportunity to be director of operations in an organisation in India and Malaysia. It was a huge responsibility to head two countries. But I quit my job after I got married, and Sandeep and I started our own company,” she says. The couple enjoyed a blissful married life with just the two of them for four wonderful years till they both realised that they were ready to add another member to their duo. 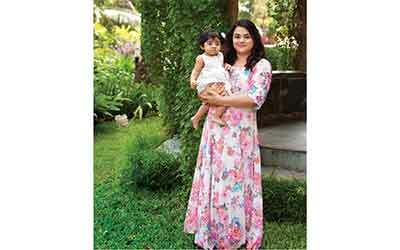 “Sandeep was really keen on starting a family, and after sitting down together, discussing and planning, we realised that the timing was perfect. 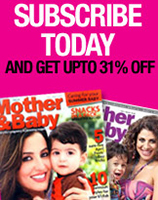 So we began trying for a baby,” says Preeti. After trying for a while, Preeti was going about her day as she did on a regular basis when she didn’t feel quite right. “A typical day for me goes something like this: I wake up early and begin my day with a glass of warm water and that much-needed chai. But that morning, I was feeling uncharastically uneasy and even that perfect cup of tea gave me a nausea. Instead of keeping it down, I threw everything up. 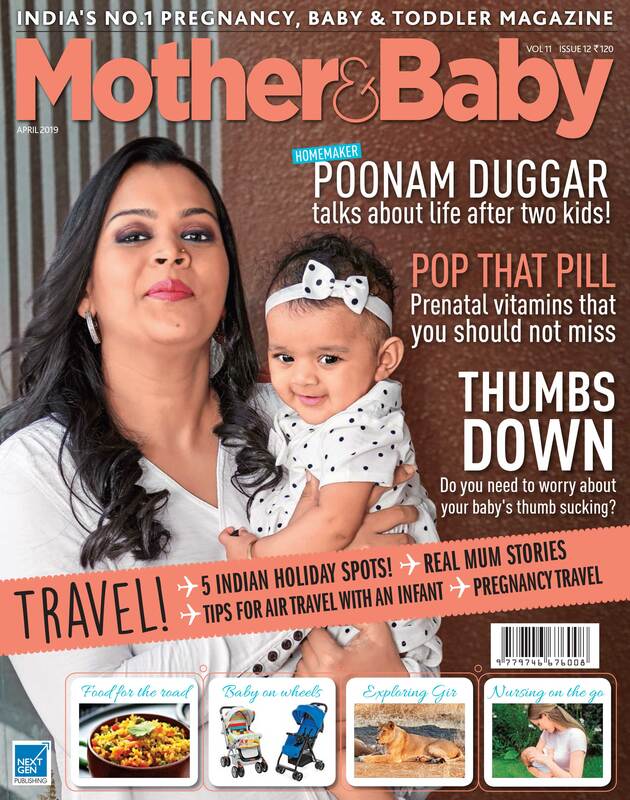 That was when I suspected I might be pregnant so I immediately did a home pregnancy, and my doubts were confi rmed!” says Preeti. “Of course, I was thrilled when the tests were positive, and I shared the news with Sandeep. 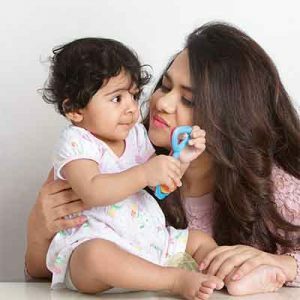 All the excitement, happiness and emotions knew no bounds and we immediately made an appointment with my gynecologist, just so that we could confirm the test,” Preeti relates, excitedly.